The 1964 Land and Water Conservation Fund, (LWCF) the country’s most important conservation funding program, expired on Sept. 30. For several years, the Pacific Crest Trail Association and many other conservation groups across the country have been calling on Congress to renew this vital source of funding. Despite a huge rallying cry over the last 12 months, Congress failed to act, even in the face of much bipartisan support from its members. In the House of Representatives, 240 members have cosponsored a bill, H.R. 502, more than enough for passage. The House Natural Resources committee has voted the bill to the House floor for approval. In the Senate, the Senate Energy and Natural Resources Committee recently approved S. 569, which now awaits a vote by the full Senate. There are 49 cosponsors of that bill. What’s the holdup? As the 115thCongress winds to a close on Jan. 3, the time to get this legislation done is now. If Congress fails to act before then, it will have to start the process on renewing the LWCF over again when the 116thCongress convenes in the New Year. New bills will have to be submitted and new committee hearings held. 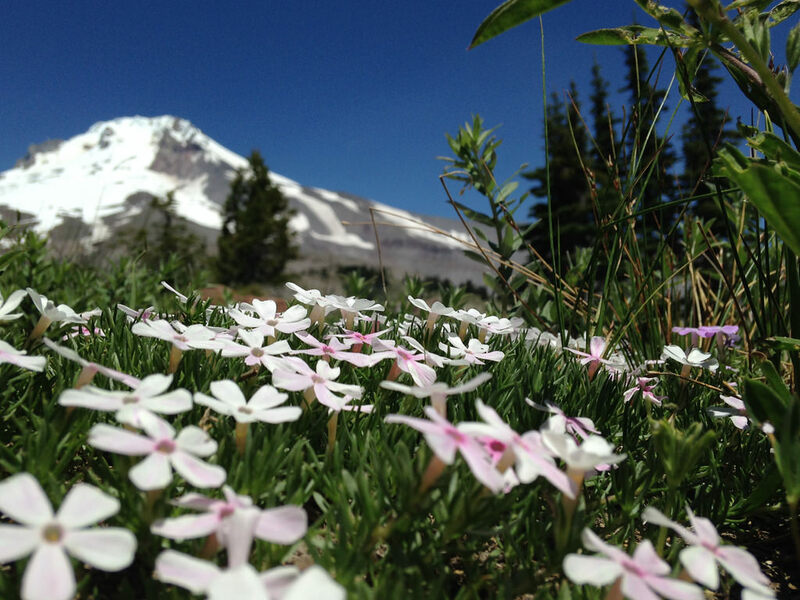 Wildflowers bloom on Mount Hood. Photo by Carly Baker. For the Pacific Crest Trail, the elimination of the LWCF would be hugely detrimental to our ability to protect land along the trail held by private landowners. About 10 percent of the PCT is still owned by private interests. We work with willing landowners to make sure the trail is protected forever. Unless we are successful, much of that land could fall to development, timber harvests, transmission lines, pipelines and the like. Over the last 17 years, almost $36 million from the LWCF has been used to acquire and permanently protect about 23,000 acres along the PCT. With 10 percent of the PCT and a number of important viewshed properties along it still owned by private individuals and companies, it will take the real spending power of the federal government to completely protect the trail in the coming years. The LWCF is popular because it gets things done. Grants to cities and states ensure recreational opportunities and preserve open space and cultural treasures. Federal agencies use the money to fulfill earlier promises to complete national trails or purchase private inholdings in federal forests. What’s more, the money does not come from taxpayers. It is funneled to the program from lease payments on offshore oil and gas exploration and drilling. Think of these payments as mitigation for environmental degradation of our coastal waterways. These lands and the energy resources stored within them are owned by all Americans. “On Oct. 2, we celebrated the 50th anniversary of the National Trails System and the designation of the Pacific Crest Trail as one of the country’s first National Scenic Trails. Ironically, the PCT and many other national trails are incomplete, and Congress let the funding source needed to finish the job expire. Letting the Land and Water Conservation Fund slip away is no way to celebrate a half century of national trails. The American people expect and deserve better from their elected representatives.” —Liz Bergeron, executive director and CEO of the Pacific Crest Trail Association. Contact your senators and Congressional representative and tell them you support reauthorization and full funding of the Land and Water Conservation Fund. Tell them how much you love the PCT and educate them on how important this program is to the future of the trail. You can also write and submit a letter to the editor to your local newspaper voicing your support for the LWCF and urging Congress to act. 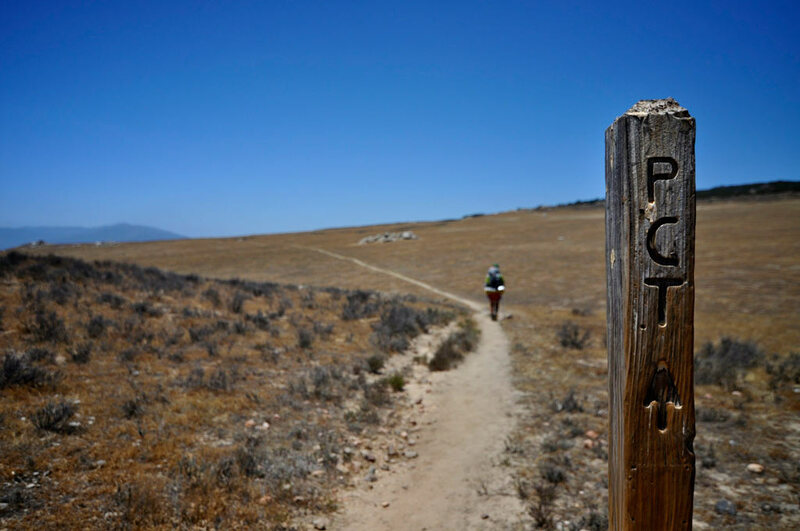 The Pacific Crest Trail near Warner Springs, California. Photo by Carter Chaffey.